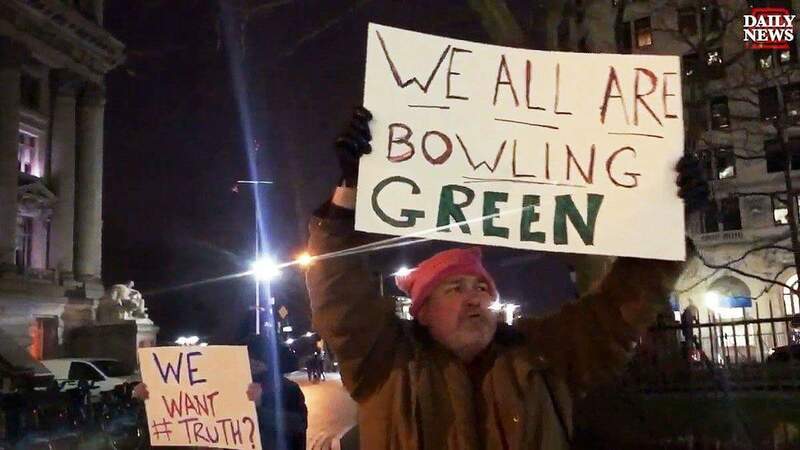 Bowling Green, KY – Tragic. Most Americans never thought they’d see this day. 42 white radicalized Christian men showed up to a Trump protest and laid down gun fire. 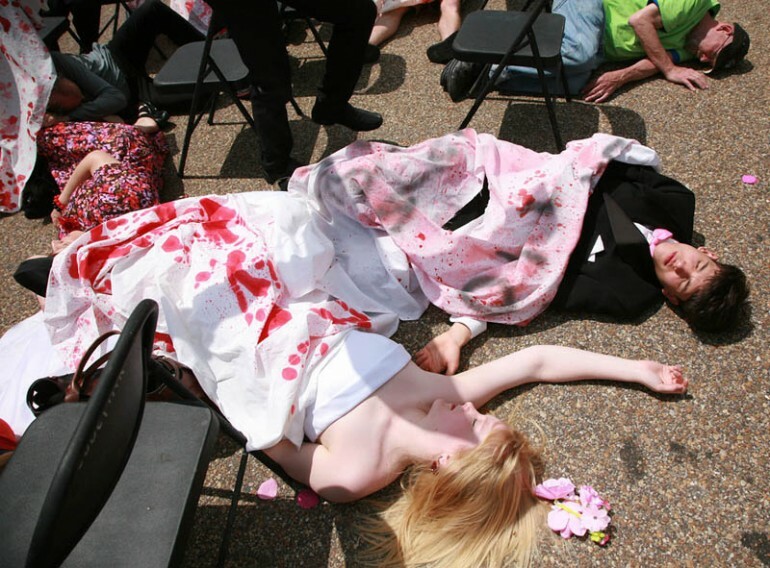 Over 200 protesters were killed. 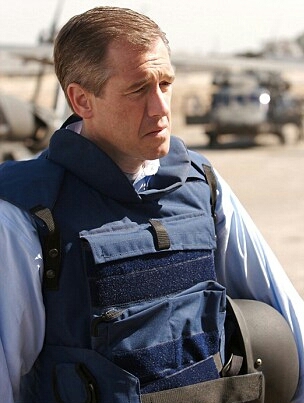 Brian Williams of NBC News appeared on the scene right before the gun fire started and was nearly killed nine times. 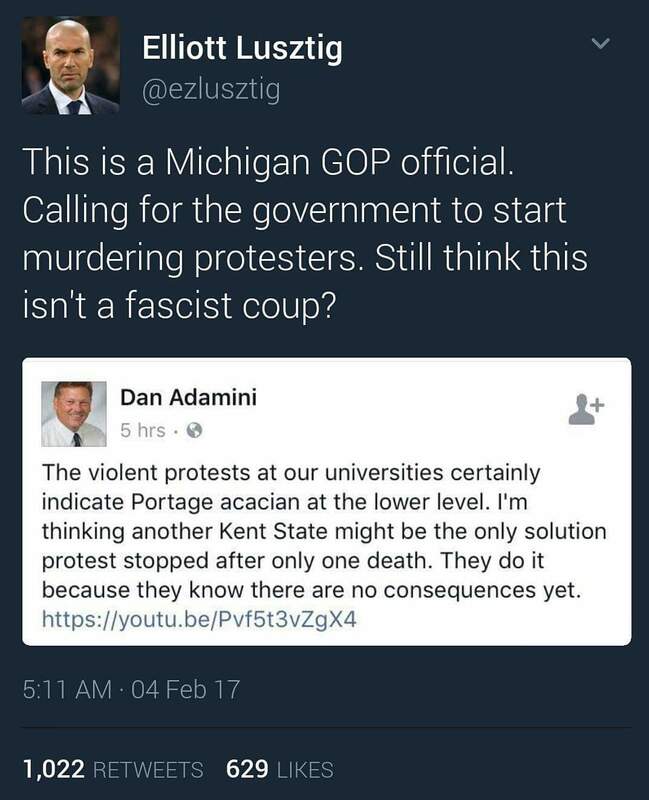 Earlier in the day a Michigan GOP official called for the execution of the protesters. Apparently Trump supporters were listening. 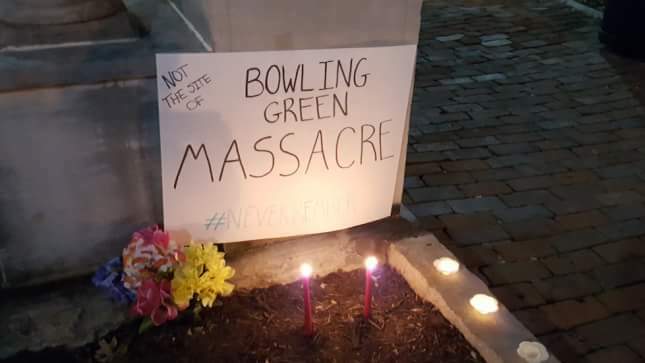 Vigils and protests were held across the country for the victims. 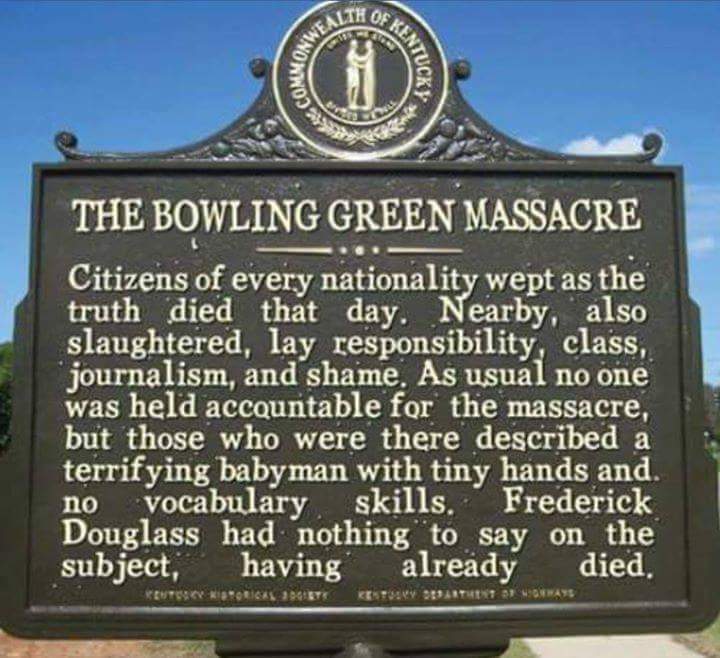 A plaque has already been installed at the sight of the massacre. In a statement, the Trump administration’s Kellyanne Conway has stated the massacre didn’t occur. No charges have yet been leveled against any of the shooters. Some people are calling for a ban of all white Christian NRA and GOP members stating that the risk they’ll be radicalized and kill citizens is too great to allow them into the country.